Sometimes it’s not whether you win or lose. Sometimes it’s about playing in decent weather so you can play up to your potential and enjoy yourself as well. Monday was a perfect day for sports, especially tennis, in Riverhead. As it turns out, you can go home again. 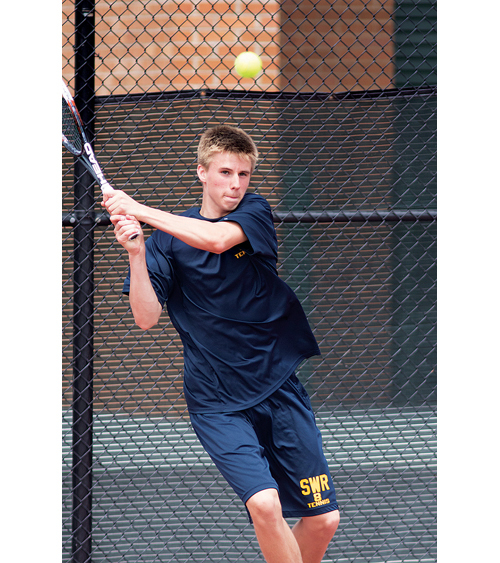 At least the Shoreham-Wading River high school boys tennis team can. After two years as road warriors, the Wildcats have a true place to call home. Chris Kuhnle had not been extended to a third set all season, so why should things have changed for the Suffolk County boys tennis individual tournament? The Shoreham-Wading River junior lived up to his No. 1 seed, beating all four opponents he faced to capture the county singles title.